Todd Terry is another artist who’s considered a bit of a key figures in dance music’s development. But as I think I’ve said before, a bit too housey disco for me. From Wiki: Much of Todd Terry’s early work in the late 1980s is considered a milestone in the development of both progressive and modern deep house. Todd Terry has been responsible for releasing two of the most respected crossover remixes of the house era: “I’ll House You” by the Jungle Brothers and “Missing” by Everything But the Girl by the mid 1990s. Among his fans, Todd Terry is known as Todd the God, God Terry, Todd Godrry, Godd Gerry (or, occasionally, simply God, because he might be a Five Percenter, but this is unconfirmed). Todd’s tracks “Something Goin’ On” and “Keep on Jumpin'” were both UK Top-10 hits as well as Us Hot Dance Music/Club Play #1’s, with the vocals provided by Jocelyn Brown and Martha Wash. freestyle diva Shannon was the featured vocalist on the Top Twenty hit “It’s over Love” in 1997. In 1999 Todd Terry released Resolutions, successfully embracing the then-still avant-garde drum ‘n’ bass aestethics. Terry also has several aliases such as Swan Lake, Orange Lemon, Royal House, Black Riot, CLS, Masters at Work (although this moniker he gave to Kenny “Dope” Gonzalez & “Little” Louie Vega in 1990), Dredd Stock, House of Gypsies, Limelife, Hard House, Tyme Forse, and the Gypsymen. 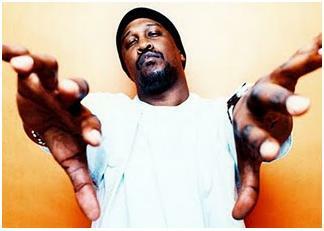 Todd Terry became one of the best-paid DJs in both Europe and the United States. He normally performs on four turntables, mostly playing his own tracks. ~ by acidted on December 29, 2009.